← Monday Morning Coffee and Chat 3/26/18 – Doing a Daniel Fast! 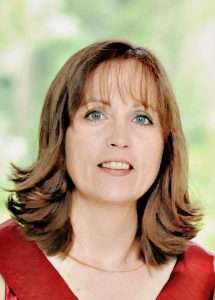 Interview with Author Laura Hodges Poole and a Giveaway! Welcome to Readers Write to Know! I asked you, my readers, what questions they would ask their favorite authors if given the chance, and the authors visiting my blog answered them! This week, I am so pleased to introduce to you my friend, Laura Hodges Poole. You can completely feel Laura’s heart as you read the interview, and I just loved every word. I hope you enjoy it, too. And, today we’re celebrating Laura’s release of RETURN TO WALHALLA! You get to enter to win a copy for your own! Read on to see how to enter. Tell us a little bit about yourself. I’m a Christian writer with a heart for hurting people. Life is difficult, whether you’re a Christian or not. I’ve dealt with a lot of heartache and death in my life, particularly that of my sister and, more recently, my daughter. I’ve written a blog for the last six years, A Word of Encouragement, and a devotional, While I’m Waiting, because people desperately need encouragement in this broken world. They need to be reassured that God is present in the waiting for answered prayers. Even through the toughest trial on earth, God will be there with you. He’ll also be there in the daily grind of life, in what might seem insignificant to someone else. I also love to hike in the mountains; actually I love just being outdoors in nature. I enjoy playing the piano and taught both of my children to play some. Tell us about your current release. 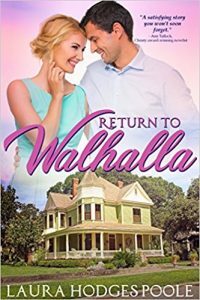 Return to Walhalla is a Christian romance, but ultimately it’s a story of brokenness, redemption, and love—the three basic things of life, right? It’s also about complex family relationships and God’s grace covering even the biggest mistakes of your life. Walhalla is actually a small town in South Carolina, about an hour from where I live. The book provides an authentic experience of Southern small-town living and hopefully, the descriptions of the upstate of South Carolina, nestled in the foothills of the Blue Ridge Mountains, do it justice. What do you think is lacking in Christian Fiction? What I believe is lacking has actually improved over the last decade—flawed characters with real problems, struggles, and the spiritual clumsiness all of us deal with in our Christian walk. Christian readers, to a degree, are like any fiction reader in the sense they want to be entertained and to escape their own reality while reading a good book. But they also want to be encouraged and inspired—maybe find a solution to something they’re struggling with, whether it’s a past sin, a personal stumbling block, annoying relatives, and the ultimate challenge—what is the right path for my life? Everyone likes to see how God works in someone’s life, even if it is a fictional character. My main characters, Penny and Tommy, both struggle with their past and future. It makes their present messy, as most of us can relate to. God provides even in the toughest of times, though, either directly or through the wise counsel of people he puts around you. For this to play out realistically in Christian fiction, the secondary characters must be developed as well as the main characters. I think most readers will enjoy Return to Walhalla because of this. Do you have your plotline and character development already laid out before you begin writing a book, or do they develop as you write? No. I’m what’s known as a “pantser” or seat-of-the-pants writer. I have a general idea what the story will be and who my characters are. I write my plot as I go. When I finish the manuscript, I review the plot and see if there are any holes. This works best for me because I grow into my characters as I write. Even though I generally know the beginning and end and what the “black moment” will be for my characters, I honestly can’t see the whole story ahead of time. I let my characters lead and often a secondary character will jump into the story when I least expect it. Then I scratch my head and say, “Where did you come from?” I go back and make sure they’re incorporated into the story correctly. It may sound like a lot of work, and maybe it is, but it keeps my creative juices flowing through the writing process. What advice do you have for aspiring writers? Write. Plain and simple. It doesn’t have to be pretty, but write every day. Put something down on paper or on your computer screen. Join a critique group. Attend a writer’s conference, even a small one, to build a supportive network of other writers. If you can’t afford a conference right now, seek out blogs and websites on writing. I’ve learned a lot this way. I’m always intrigued by how writers get started…did you always have these books inside you and knew that you wanted to write them or did the idea just pop into your head one day and you decided to put pen to paper? The books I’ve written have just popped into my head. With Return to Walhalla, the title came to me first, then the character names. As I said above, I followed the path they led me on until I figured out what their story was about. Other manuscripts I’ve written, I’ve gotten an idea for a scene or a character’s name, and that led me into the rest of the story. Do you write your books for your own enjoyment or more for what you think people would want to read? I think if you write for pure enjoyment first, then others will want to read what you’ve written. If you don’t enjoy the process and the story, no one else will. Which of your characters most reflects your personality? That’s a hard one. In Return to Walhalla, I guess the main character Penny with a little touch of Miss Betty. Like Penny, by nature, I’m tentative and a worrier. That’s something God has helped me with, though He’s still working on me.  I’m not one to jump into anything without thinking out every angle. And like Penny, I’m drawn to people who need compassion and encouragement, like her protégé Emma. But I’ve got kind of a dry wit and can usually see the heart of a problem fairly quick, like Miss Betty. I see humor in just about everything, which is probably how Miss Betty’s character came about. You need humor in life to survive the really rotten days. What do you do when you hit a roadblock and have NO idea what to write? Sometimes I read and that helps. Most of the time, I just sit at the keyboard and write something, even if it doesn’t gel at the time. Eventually, something’s going to come out of my brain and flow through my fingers. Other times, I see a road block or writer’s block as a sign that I need to do something else for a while—get away. Like Psalm 23 and 46 teaches, we all need green pasture time to be still with God. Often during those times, my mind clears, and my heart realigns with what God’s message is through my story. 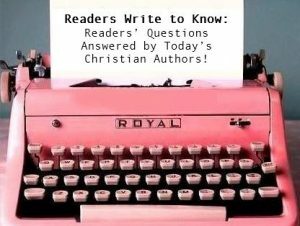 This entry was posted in Blog, Hallee's Interviews with Christian Authors and tagged author interview, giveaway, interview with christian author, laura hodges poole, readers write to know. Bookmark the permalink. 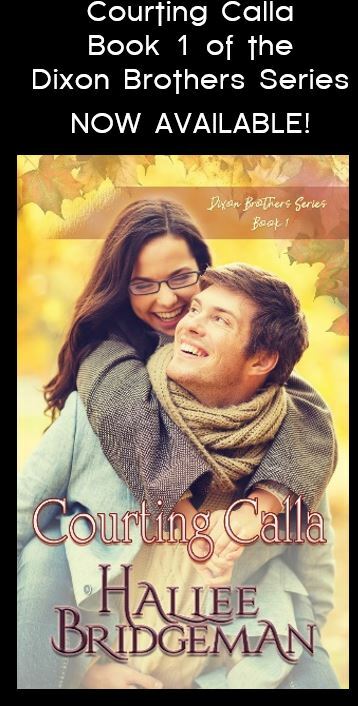 4 Responses to Interview with Author Laura Hodges Poole and a Giveaway! Whoa! I have been to Walhalla, SC. The foothills of the Blue Ridge Mountains are lovely and a great setting for a book. Thanks for the chance to win Fingers crossed to win. Thanks for hosting me today, Hallee. 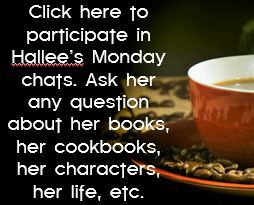 I had fun answering reader questions! sounds like a wonderful story! Hope I get to win!